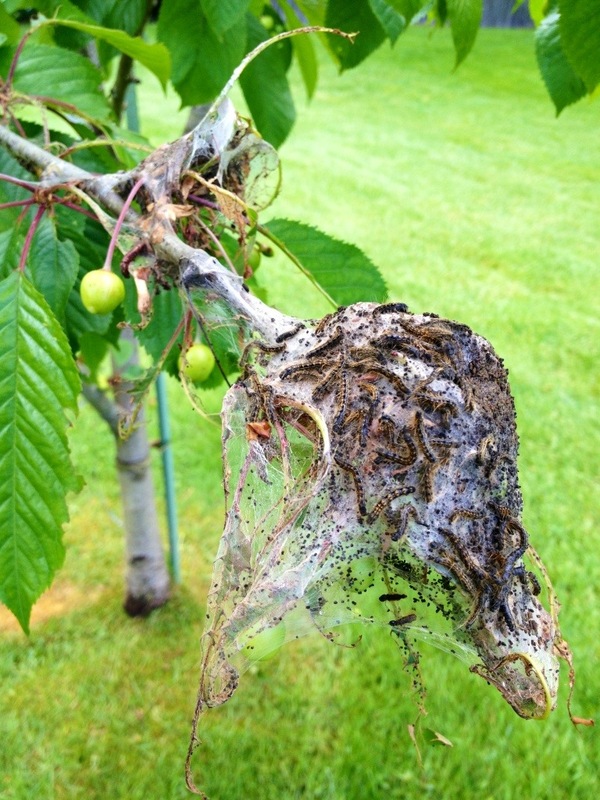 Hate is a strong word which I rarely use but, I really do hate these tent caterpillars, especially when they try to kill my fruit trees!! I just noticed this infestation on my cherry tree, which produces the BEST cherries! Time to prune and drown them and hopefully save this cherry tree. It apparently is a bad year for tent caterpillars. UGH!